Project managers needing rental equipment, such as cranes, hoists, aerial lifts and forklifts, have relied on Sims Crane & Equipment for 60 years. We have built our reputation as the one-stop shop for vertical access needs by providing exceptional services, the highest quality equipment, world-class experts, cutting-edge technology and an unparalleled focus on safety. Every crane operator at Sims Crane & Equipment is NCCCO-certified and has completed training in crane operation, basic rigging and signaling. Our service department is staffed with skilled, factory-trained repair technicians with experience working on the brands of rental equipment available at any of our locations. Our expert lift planners offer on-site consulting to plan projects with state-of-the-art 3D modeling software. The safety of our clients, the general public and our employees is of utmost of importance to everyone at Sims Crane & Equipment. Safety considerations are taken into account in everything we do, from lift planning to performance monitoring and everything in between. Ongoing safety training is required of all employees at Sims Crane & Equipment. 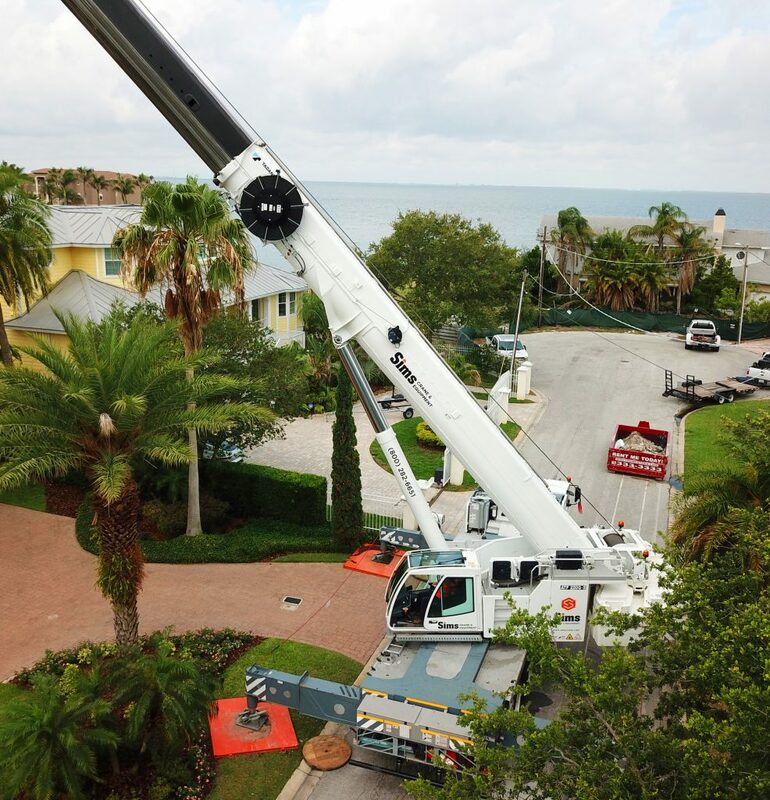 We have handled the rental equipment needs for companies located throughout the entire state of Florida including Tampa, Miami and Orlando. Contact us today for a quote on a crane rental and an experienced crane operator focused on safety for your next project. © 2019 Sims Crane & Equipment. All Rights Reserved.